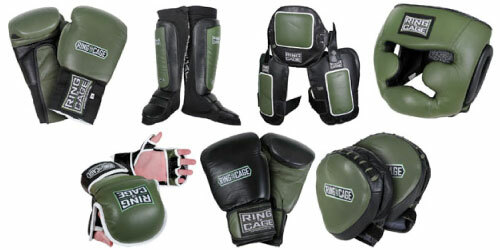 A new MMA gear brand called Ring to Cage has hit the Mixed Martial Arts scene with full force. Bringing you a wide range of equipment that is extremely functional, durable and looks pretty cool. 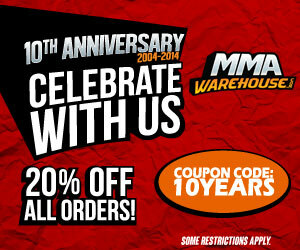 This company has focused on delivering the absolute necessary gear for the optimum training and sparring experience such as: headgear, shinguards, sparring gloves, boxing gloves, focus mitts and fight gloves. They also have a specialize belly and thigh pad combo, this is perfect for training Muay Thai and really helps your trainer give you the best targets to sharpen your kicking skills and help you train with more power. What is also great is the main color scheme that features the army green leather that looks very nice with the black, it is definitely something anyone who is a supporter of the military and our troops would appreciate!